2009 – present : Reader in Evolutionary Ecology, Queen Mary, University of London. 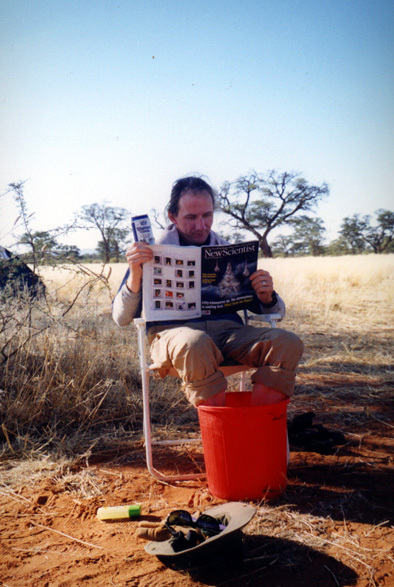 2008 – present: Extraordinary Professor, Department of Zoology & Entomology, University of Pretoria. 1998 – 2009 : Lecturer/Senior Lecturer in Molecular Ecology & Evolution, Queen Mary, University of London. 1990-1998: Post-doctoral Research Scientist then Research Fellow at the Institute of Zoology, Zoological Society of London. 1987-1990: PhD “Social Suppression of Reproduction in The Naked Mole-Rat, Heterocephalus glaber“. Institute of Zoology, Zoological Society of London/University College London. 1984-1987: Research Project Leader, Dalgety UK Ltd.